Home / Compared specs / Processor / Which is Better - An Octa Core or a Quad Core Processor? Which is Better - An Octa Core or a Quad Core Processor? People nowadays are well informed regarding the specs of any device. Whether it is a tablet or a smartphone or any other device, everyone knows what specs and features to look out for. A huge chunk of this knowledge is gained by following handheld news, which brief people about what’s hot and what’s not at the moment. One aspect that everyone pays attention to is the processor. The processor is the engine of the phone and hence, if you want a phone to really work well, you need to know whether the engine is up for the job or not. 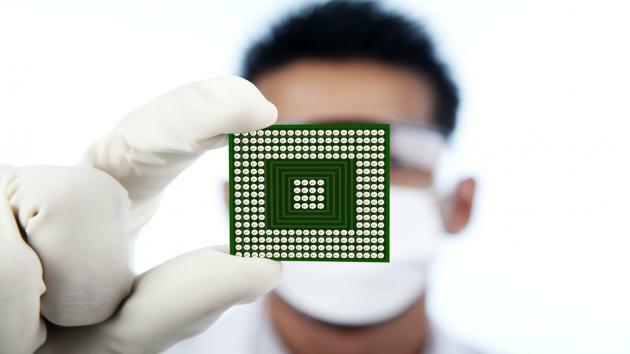 Besides the various brands of processors, such as MediaTek and Snapdragon, along with their strengths, another major feature that is always thrown at you is the number of cores in the processor. You’ll find that devices come as quad core, hexa core and even octa core nowadays. Quad core means it has our cores, while an octa core would mean the device has eight cores. On the surface, if you compare mobile phones features and find these two differences, you will be tempted to assume that the octa core one is better and stronger than the quad core one. However, there is more to this than meets the eye. While an octa core processor may impress you on paper or when you read about it in handheld news, the thing about cores is, they are selective in their functioning. This means, whether a device is a quad core or an octa core one, all the cores do not work at the same time. All the cores are optimized to get active when certain tasks are employed, for example, in quad core devices, two cores function for normal things like switching apps and checking mails, while the other two get activated when there is more heavy duty stuff involved, like gaming or watching HD videos. Hence, even if you have eight cores, they’re all not working at the same time, so they will not all really be helpful to you to help speed up your performance. This is the reason why even quad core devices, such as the Nexus 5, manage to work so well because they are very well optimized. Hence, as you can see, the cores present, whether four or eight, need to gel well and work efficiently for best results. Thus, you need to make sure that the cores work properly and are specifically optimized for the software that is present in your phone (type of software and its version). In the end, this is what will dictate the speed and performance of your phone more than anything else. So, don’t be fooled when you compare mobile phones specification and see that a certain handset has an octa core processor and another has a quad core processor, automatically making the former better than the latter. It is all technical jargon and as we’ve discussed above, more is not always better when it comes to the processor of a smartphone.